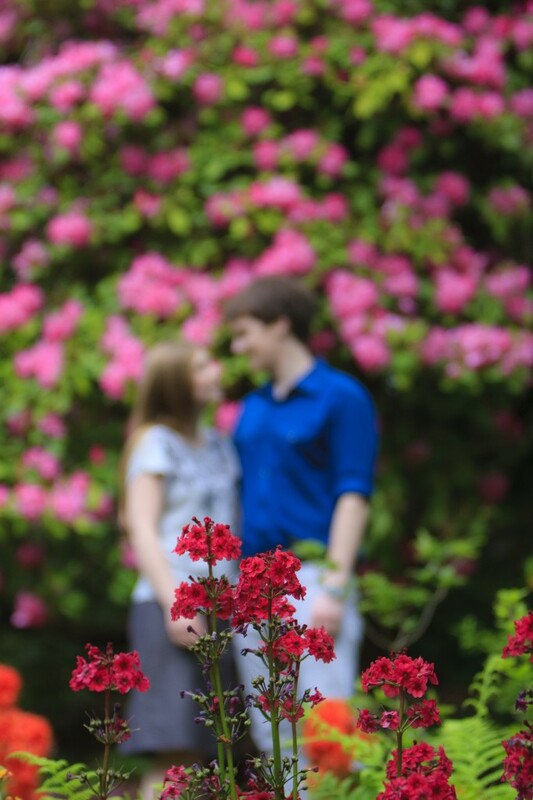 These two wanted a really relaxing and casual engagement photo session so we decided on doing the photos at Craigdarroch castle and the Governor Generals house. 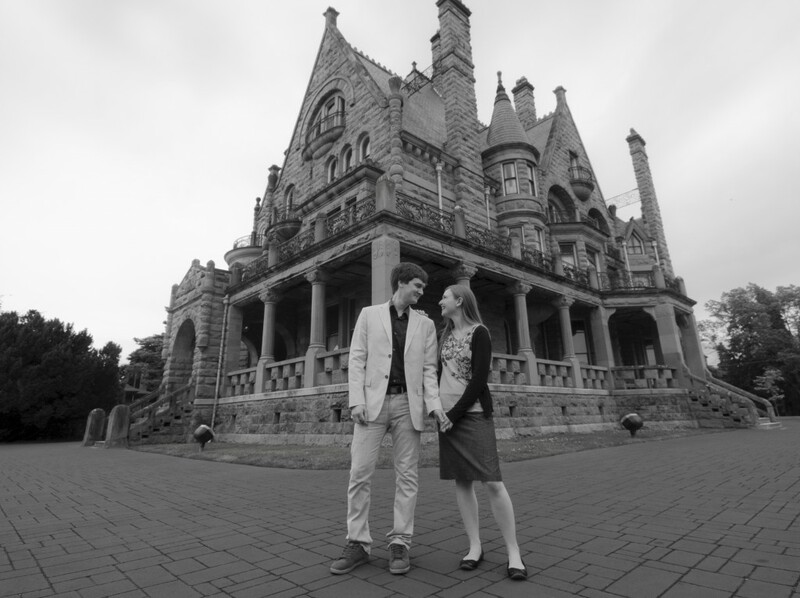 Both are awesome for portraits with their mixture of fantastic architecture and beautiful scenery. This photo was in the Gardens of Governor Generals House. This portrait was taken in front of Craigdarroch castle. 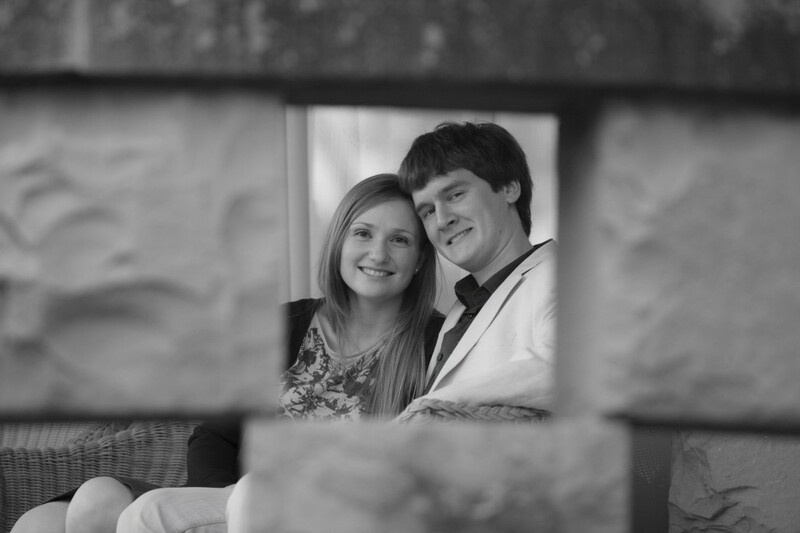 A portrait of Melina & Ian peering thru the brickwork walls of Craigdarroch castle. 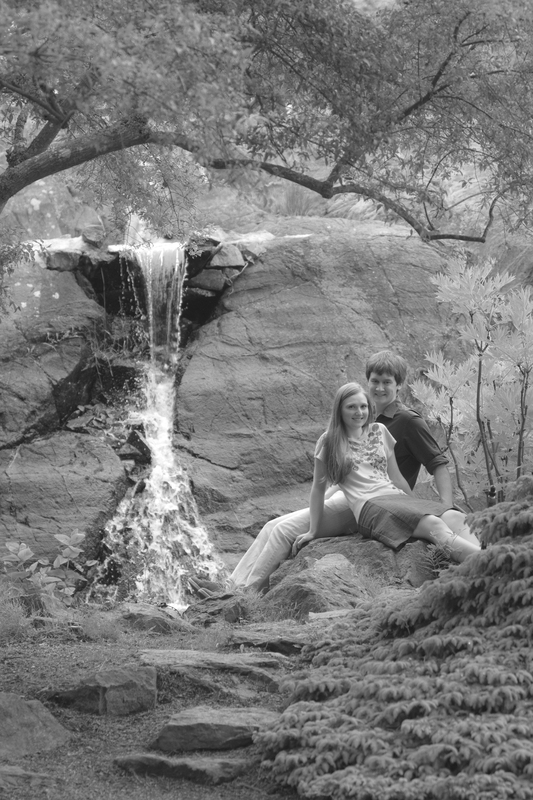 This is the romantic little waterfall at Governor Generals, a fantastic spot for a visually pleasing portrait. 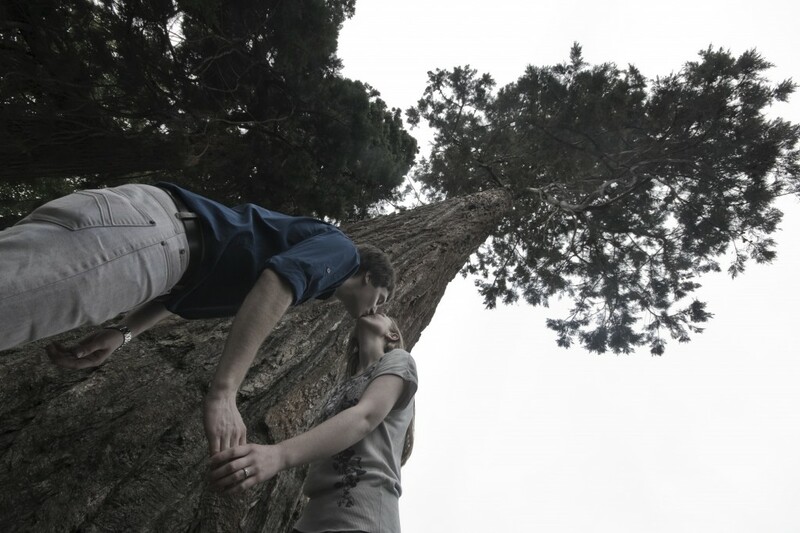 We used one of the old growth cedars to create a little bit of a different photo for their e-session.